The exhibition for the 2018 DCA photo contest is opening soon. 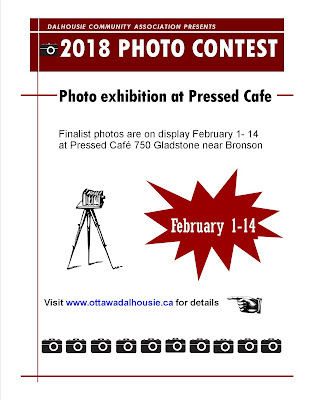 Finalist photos will be on display at cafe Pressed at 750 Gladstone from February 1 to 14. There will also be a reception on February 12 from 4 pm to 6 pm. Please join us to appreciate the wonderful photos that capture the distinctive character of the DCA neighbourhood! Click here for the Facebook event page.